Organiser: The contest is hosted by Indian Institute of Information Technology, Lucknow. 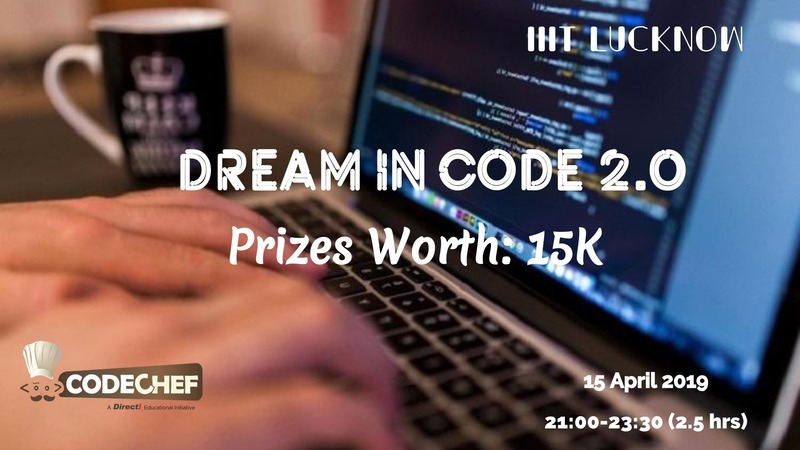 Top 3 winners will get 250 codechef laddus. Please contact tarunsinghal97@gmail.com for any queries during the contest.